Your art is important. You making it is important. If you feel the urge to create, you should always gratify that urge. For the right person at the right time, your art is a gift and a blessing. Just because I’m a minimalist doesn’t mean I don’t love spending money on art and letting it fill my walls. I love collecting art! I can’t think of a more meaningful way to bring more creativity into my space. 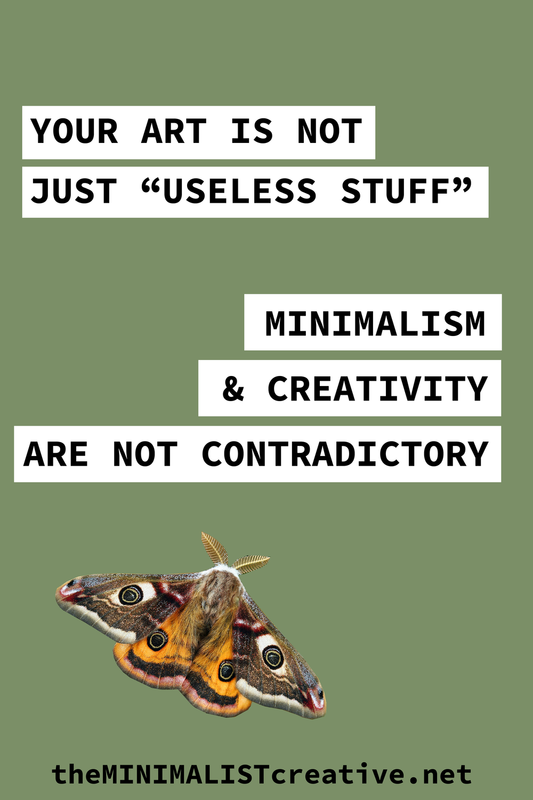 But I get it, creating and minimizing seem contradictory. I can assure you, they aren’t. Let them mingle instead of trying to separate them. You will find a balance. Create your art and put it out into the world. If you do it with the right intention and hope that it lands in the hands of people who need your creative energy, it will. That’s really all you can do.